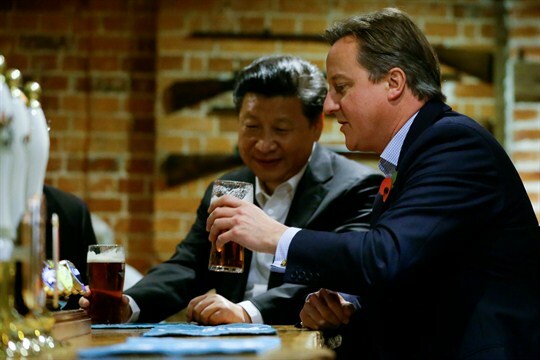 Britain's then-Prime Minister David Cameron and Chinese President Xi Jinping at The Plough pub, Casden, England, Oct. 22, 2015 (AP Photo by Kirsty Wigglesworth). When he was British prime minister, David Cameron promised that his country would become China’s “best partner” in the West. His recent decision to accept a leadership role in a new joint Sino-British investment fund—part of China’s ambitious Belt and Road development initiative, no less—shows that, even after his retirement from frontline politics, Cameron is still dedicated to making good on that commitment.